Samsung on Tuesday announced that it had developed a way to improve Lithium-Ion batteries with its new material called graphene balls. The company says that batteries featuring the new material charge five times faster than conventional Lithium-ion accumulators and enable a considerably higher volumetric energy density. The new battery technology developed by Samsung SDI and its partners* uses the so-called graphene balls (a 3D structure synthesized from silicon dioxide, Si02) to cover a cathode and also as an anode material. Graphene balls on the cathode suppress damaging side reactions while also providing efficient conductive pathways. This enables faster charging (as graphene features 140 times faster electron mobility than silicon) and increases the number of cycles a cell can withstand. 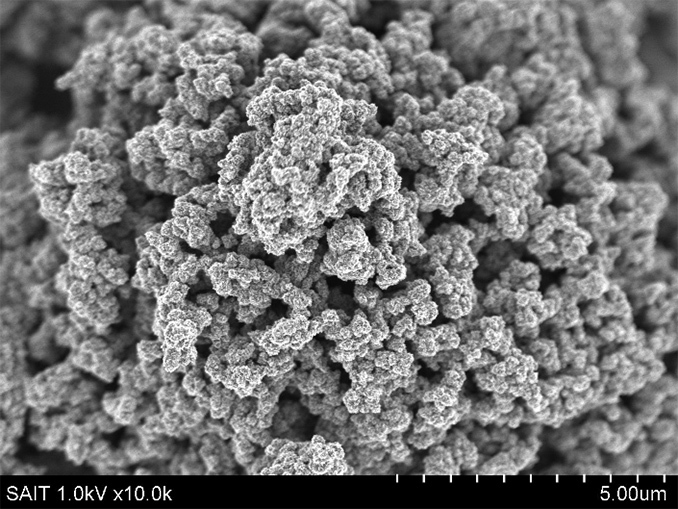 According to Samsung, a battery cell featuring graphene balls has a 27.6% higher volumetric energy density compared to a similar cell without graphene balls. Furthermore, the cell also retains 78.6% of its capacity after 500 cycles at between 5°C and 60°C. Samsung articulates that graphene balls could enable batteries with up to 45% higher capacities (than contemporary batteries) that can charge in 12 minutes – or five times faster than today’s batteries, as Samsung puts it. However, what Samsung is not saying when it intends to use the technology for commercial applications. Incorporation of a new protective layer for cathode and switching anode material changes battery production technology, which generally affects costs. Meanwhile, Samsung claims that the graphene ball material is not expensive to produce using its new chemical vapor deposition (CVD) process. 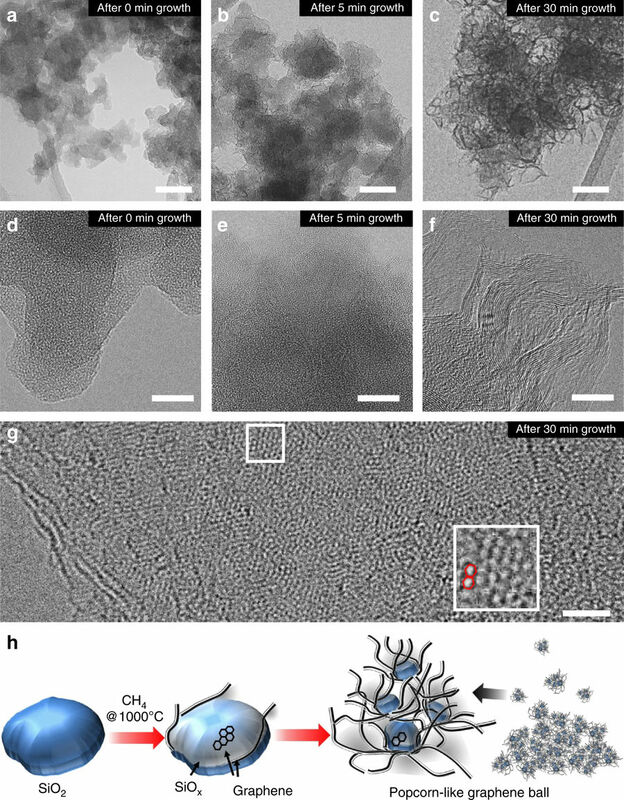 To grow graphene around SiO2 nanoparticles with diameters of 20–30 nm, Samsung feeds them into a furnace and feds methane (CH4) into it at 1000°C. Samsung expects to use its Li-ion batteries featuring graphene balls for electric vehicles and various mobile devices. Since the improved batteries can handle temperatures of around 60°C, they are a good fit for both applications. The most important question is of course when exactly Samsung SDI plans to commercialize them. To that end, it is noteworthy that earlier this year an unnamed executive from Samsung SDI told a newspaper that the company would be able to produce solid-state batteries for smartphones sometimes in 2019. *The new battery technology was co-developed by Samsung SDI (the company’s battery arm), Samsung Advanced Institute of Technology (SAIT) as well as Seoul National University’s School of Chemical and Biological Engineering. "This enables faster charging (as graphene features 140 times faster electron mobility than silicon)"